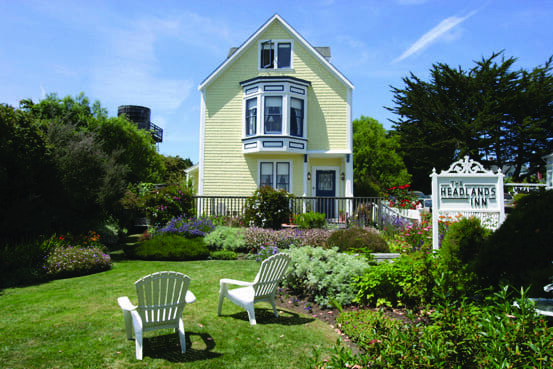 Headlands Inn is a distinctive bed and breakfast located in the heart of picturesque historic coastal village of Mendocino. Casual elegance awaits you where personalized service, charming accommodations, and tantalizing breakfasts ensure a perfect getaway. Ideally located, the Inn is only a short stroll to Mendocino’s wonderful shops, galleries, restaurants, and the mighty Pacific Ocean. 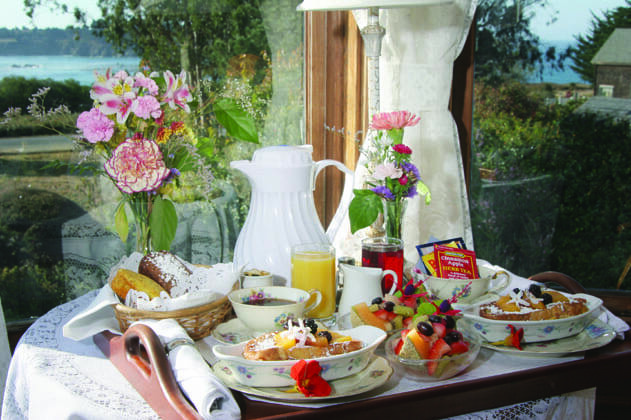 Breakfast in bed with a San Francisco paper – Bedside chocolate – Afternoon tea and cookies – Breathtaking ocean views – Crackling fireplaces – Cozy featherbeds – Comfy robes – Peace and quiet – Fresh flowers – English garden. 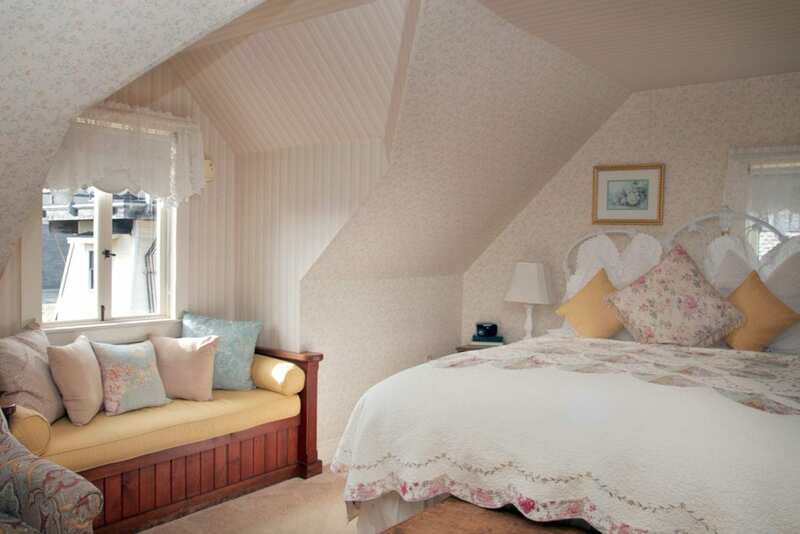 The Inn offers 7 uniquely appointed guest rooms of simple elegance, all with private baths, 5 with wood burning fireplaces; and a romantic cottage with a 2 person spa tub, wood burning fireplace, cable TV/DVD, microwave and fridg. What does Mendocino offer? It offers a place to refresh, to renew and to rekindle relationships. It is a quaint and charming historic village with unsurpassed natural beauty. A place of rugged coastline with unmarred expanses of surging sea and sky, and spectacular sunsets, together with redwood forests and fresh exhilarating air. 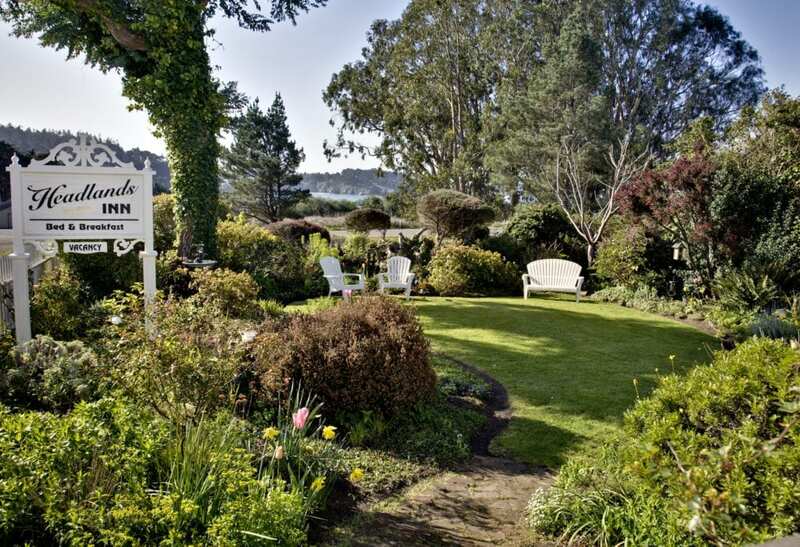 Come to relax, to reconnect, to celebrate, come and fall in love with Mendocino – and The Headlands Inn!